The third iteration of the Android P developer preview is here. Currently, it is available only for the Google Pixel range of devices, but other OEMs should follow suit soon and we’ll let you know once they do. Here’s a comprehensive guide on how to install the Android P developer preview three on your device. If you are inexperienced with the intricacies of manually flashing an image on to you your device, we recommend that you don’t try this, as it may result in unpleasant consequences not limited to total loss of data and potential bricking of your device. Before attempting a manual installation, make sure you have a PC or a mac to run a command prompt/terminal. You’ll need ADB drivers to complete the process, so if you don’t have them, go through this tutorial. Additionally, you’ll need to know your way around a terminal and the various commands required to use it effectively. You can refer to this page for more information. Once you have all the tools ready, ensure that the phone battery has sufficient charge so that it doesn’t die out mid-installation. The last thing you want is for the process to be interrupted midway, as it could potentially brick your device and void any warranties it came with. You’ll also need a USB cable to connect your device to your PC/Mac. Now that we have this out of the way let’s get into the real fun. Step 1: Enable developer options by navigating to settings> system> about phone and tapping ‘Build Number’ several times. You’ll be prompted to enter your PIN/Pattern/Password and then a prompt will tell you that you’re a developer. Now, navigate to settings>developer options and toggle the “allow OEM bootloader unlock” switch to on. Step 2: The second step prepares you to unlock the bootloader on your device. First, you need to allow USB Debugging by toggling the ‘allows USB Debugging’ switch from developer options. Then, you’ll need to connect the device to your PC/Mac via USB cable, after which you’ll be asked to verify your PC/Mac via an on-screen prompt on your phone. Now, open a terminal and navigate to the folder in which you downloaded the ADB drivers. In Windows, you can simply press Shift+Right Click to get an option that says “open command window here”, and that’ll open a command prompt right where it’s needed. On Macs, you may have to use the “cd” command a few times to get to your destination. Step 3: Once you’re all set, enter “adb reboot bootloader” in the command prompt to go to the device’s bootloader and check its status. If the bootloader on your Pixel device is locked, make sure your device is on the bootloader screen (aka recovery mode) and type “fastboot oem unlock” in the terminal. If that didn’t work, you would need to use the “fastboot flashing unlock_critical” command. Once the command is issued, you should see a prompt on your device which will ask you to verify if you want to unlock your bootloader. After you give it the green signal, the device will be wiped out completely. Hence, we recommend that you take a backup of all your data before proceeding with the process. Step 4: Head over to the Android P Developer Preview page and locate the download link for the Pixel device you own. From there, download the corresponding OTA file and place it somewhere on your computer that is easily accessible. Once you’ve downloaded the compressed file, extract it. Inside the extracted file there will be a .zip file titled something like “taimen-ppp3.180510.008-factory-4ec49e55.zip” (Pixel 2 XL), and after you extract that file, you’ll find the bootloader, OS image, vendor image, and a radio image. 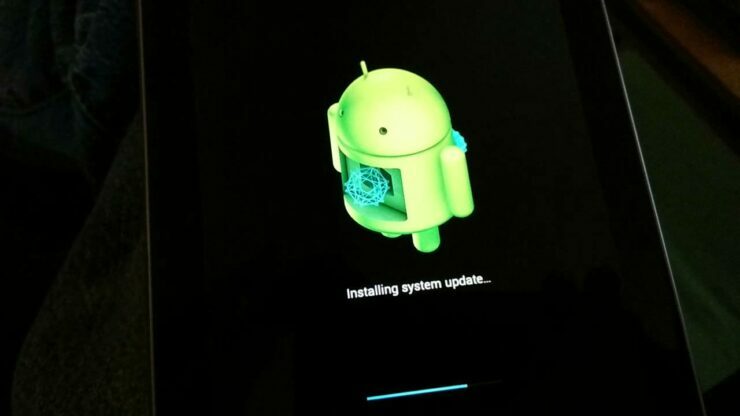 Step 5: Execute the command adb reboot bootloader to reboot your device into recovery mode. Before proceeding, point your command prompt to the folder where you extracted the contents of the update, which should also contain a “flash-all” script in it. Once in the directory, run the script corresponding to your computer. Now you should see the script running on your screen, which can take five to ten minutes. Once the image is installed, the script will automatically reboot your phone. The first boot usually takes a while so you might have to wait about 10 minutes. Anything above that means that you’ve entered a boot loop. If that’s the case, then you’re going to have to flash all of the images manually. Make sure your device is in the proper bootloader state (you should be at the same screen as you were when you issued the “adb reboot bootloader” command), and then follow these instructions in the command prompt. The bootloader file name, radio file name and image file name can be found in the file that you downloaded off of the website. After the device boots, you should have Android P DP3. If you’ve had enough of the preview, you’re going to have to go through the same process again, but this time with stock Oreo images which can be found on Google’s website.